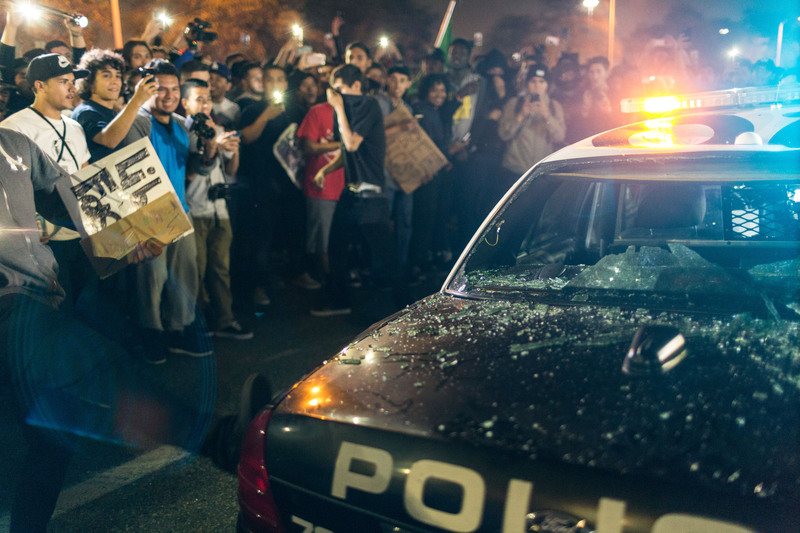 Yesterday I went to a Trump rally in Costa Mesa, California. This was the first event of the election season I have shot photos at. The wire service I used to post my work to has been bought out so for now I’m going to put some of my work here on my blog. I have a video from yesterday that I am editing too I should have that done tonight and I will post it here. 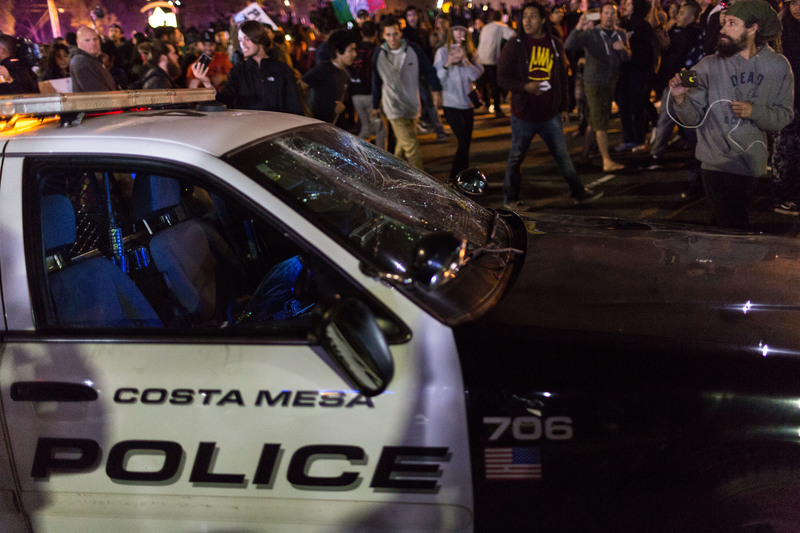 A police car has its windshield smashed outside the Donald Trump rally in Costa Mesa, CA. 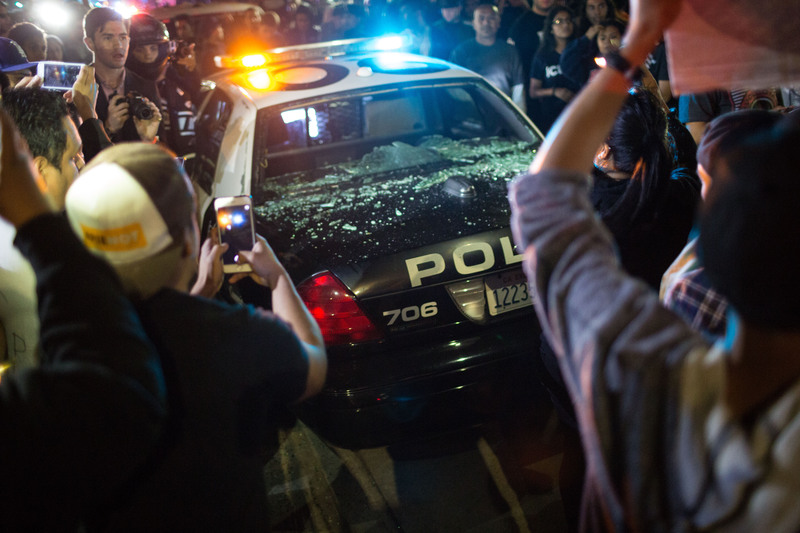 Protesters attempt to turn over a police car outside the Tump rally in Costa Mesa, CA. 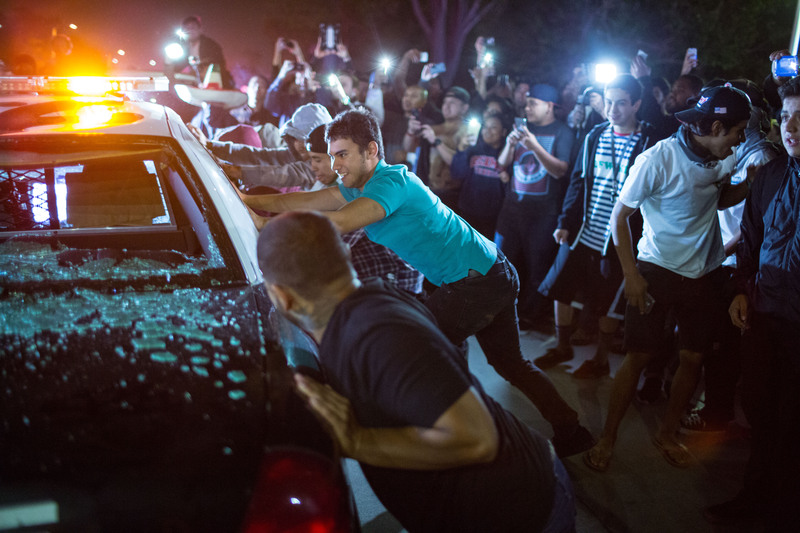 A protester kicks a cop car after its windows are smashed out outside the Donald Trump rally in Costa Mesa, CA. 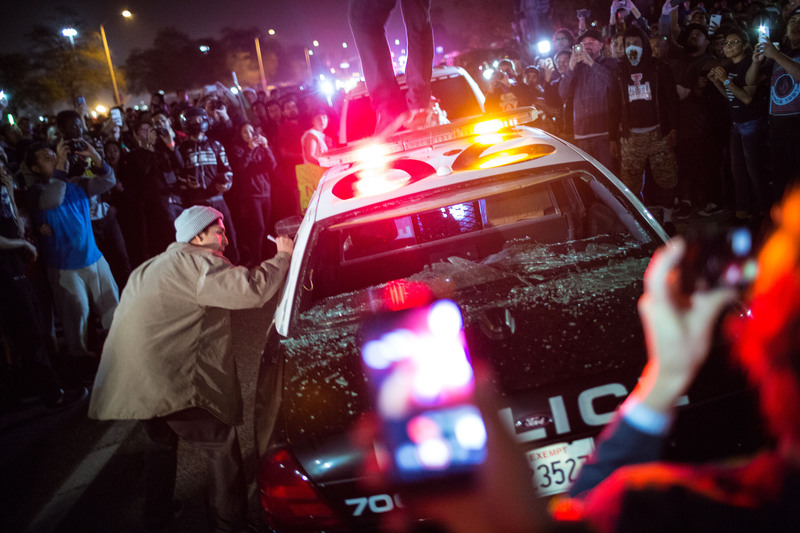 A protesters jumps on top of a police car after its windows have been broken at the Trump rally in Costa Mesa, CA. 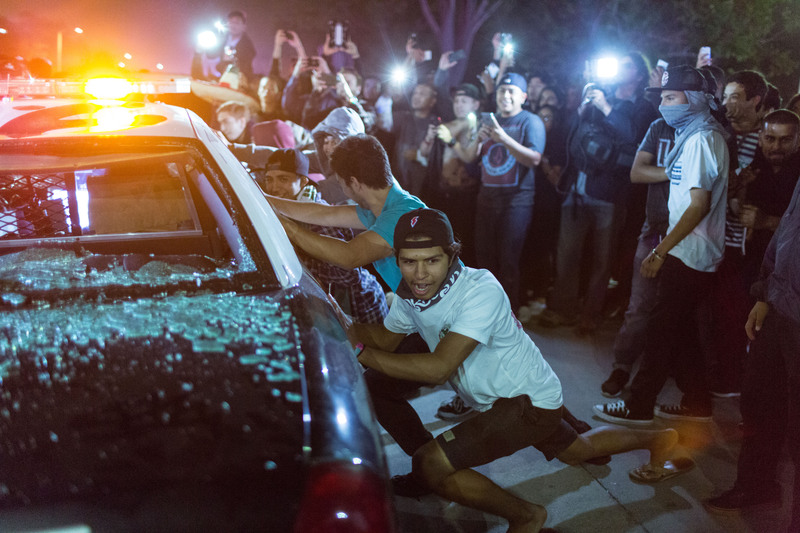 A police car has its windows smashed outside the Donald Trump rally in Costa Mesa, CA. 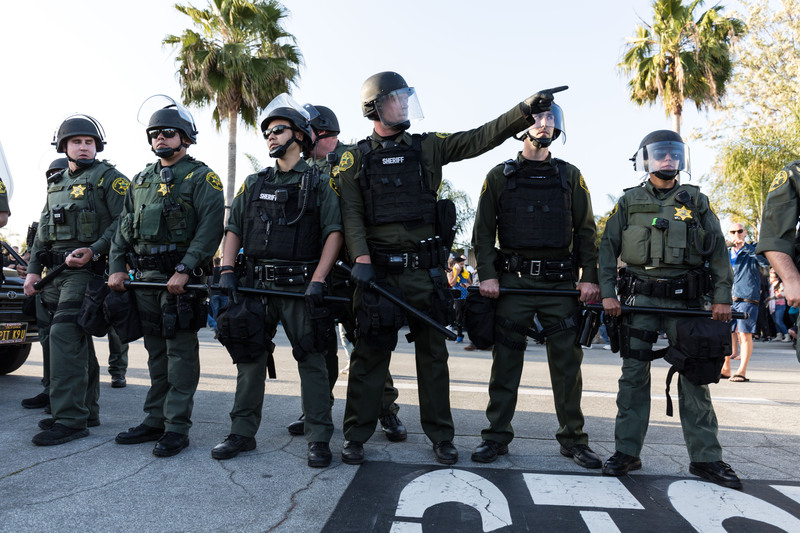 Riot police move the protesters out of the intersection outside the Donald Trump rally in Costa Mesa, CA. 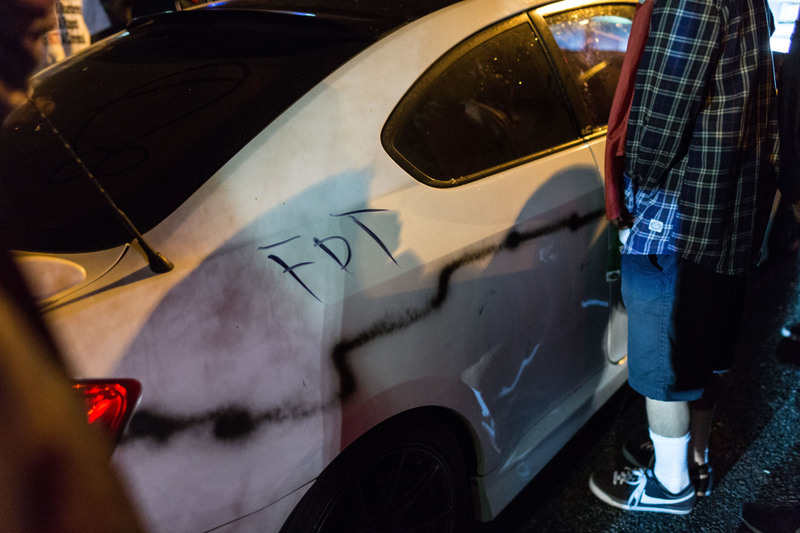 Protesters surround a car with Trump supporters inside and vandalize it. 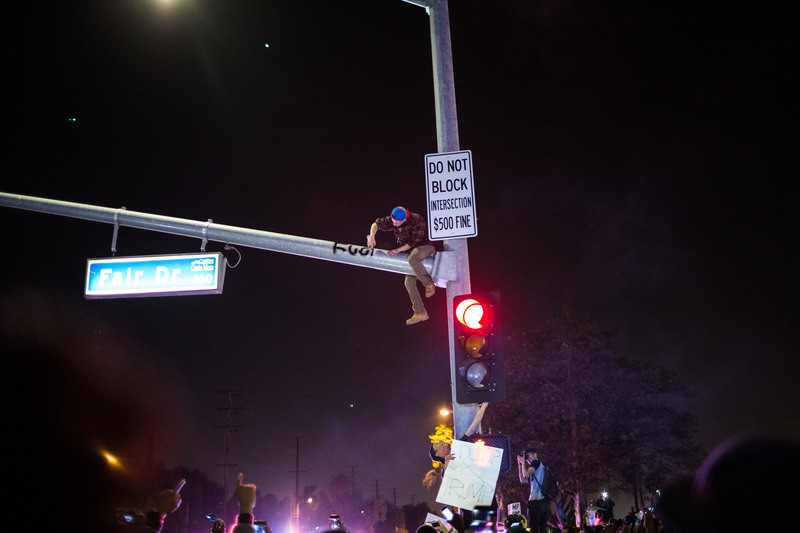 A man climbs a traffic light and writes anti trump graffiti on it. 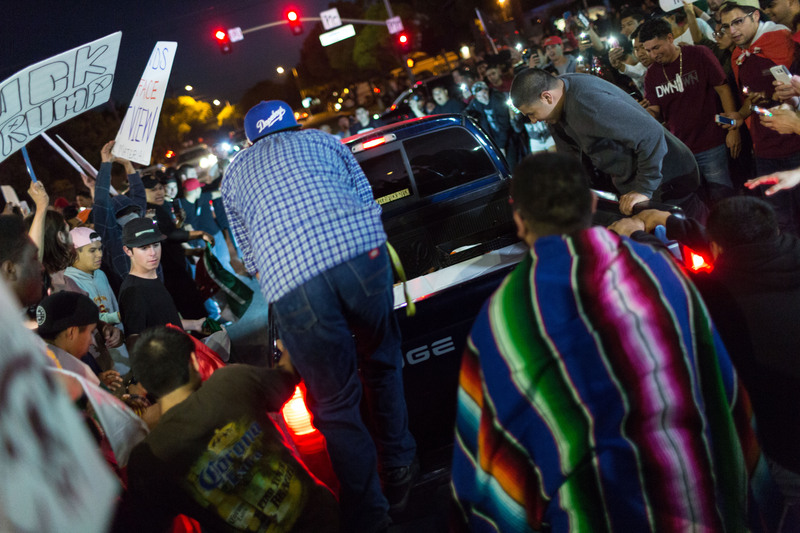 Protesters stand on the back of a truck as it burns out at the intersection of Fair and Fairgrounds in Costa Mesa, CA. 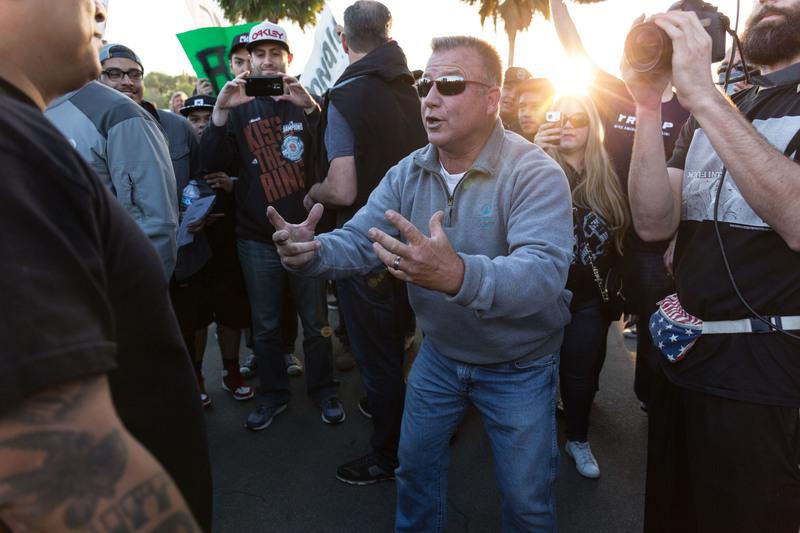 A man has a heated argument with Trump protesters outside the rally in Costa Mesa, CA. 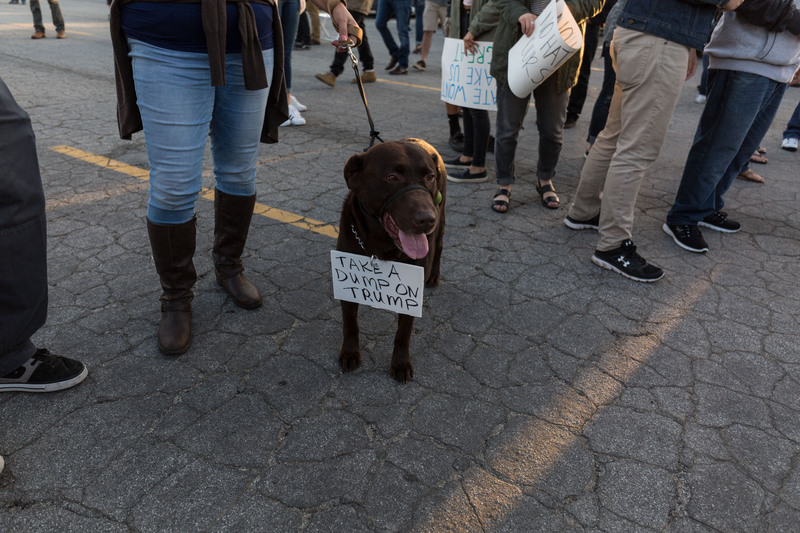 A dog wears a sign that says Take a Dump on Trump at the Donald Trump rally in Costa Mesa, CA. 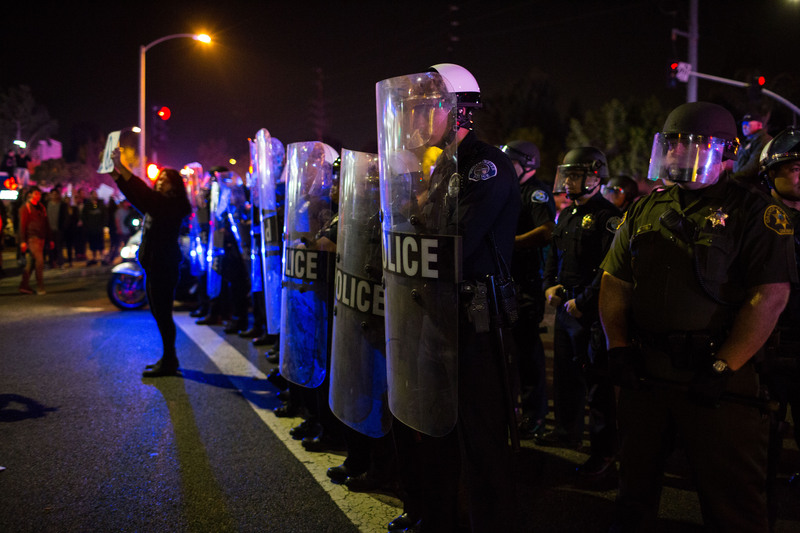 Police in riot gear are directing protesters away from Tump supporters outside the Trump rally in Costa Mesa, CA. 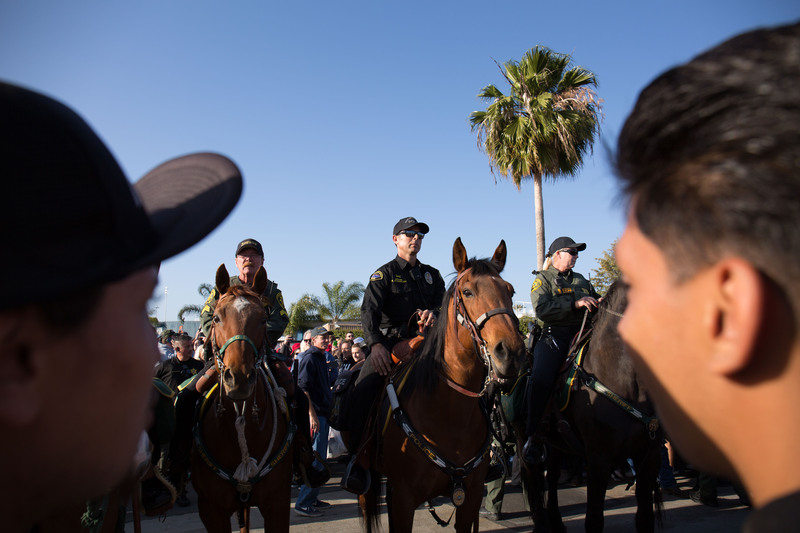 Mounted police push through the crowd of Trump protesters and supporters in Costa Mesa, CA. 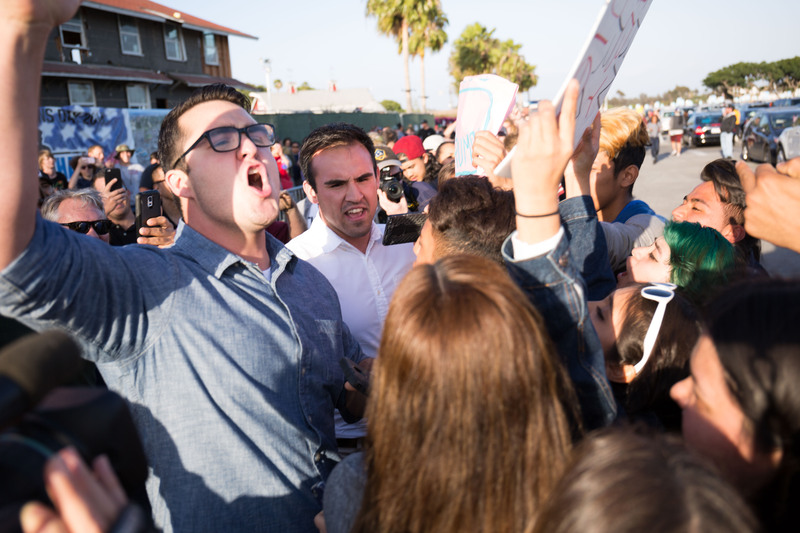 Donald Trump supporters argue with protesters while in line to get into the rally in Costa Mesa, CA. 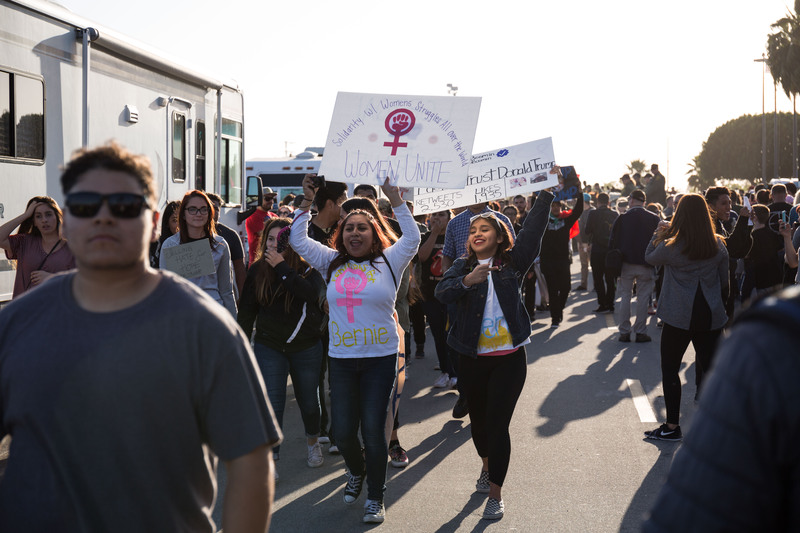 Protesters march down the long line of Donald Trump supporters in Costa Mesa, CA. 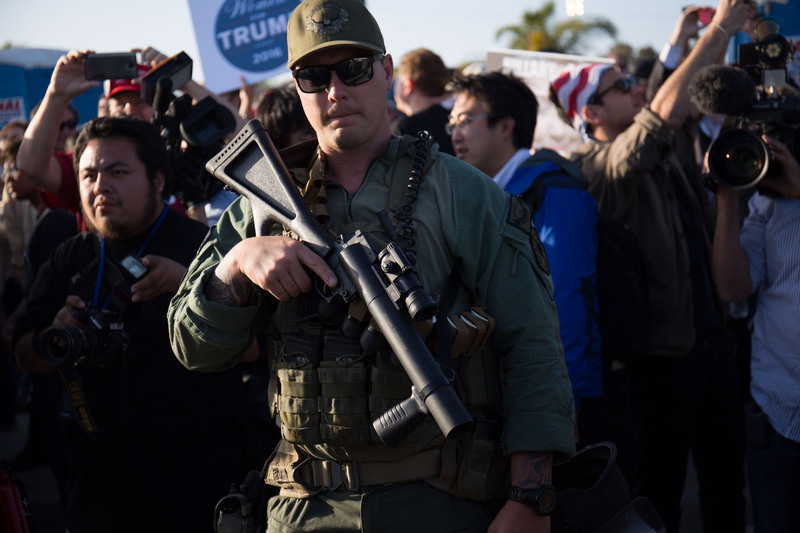 A police officer standing between Trump supporters and protesters carries a less lethal gun for crowd control. 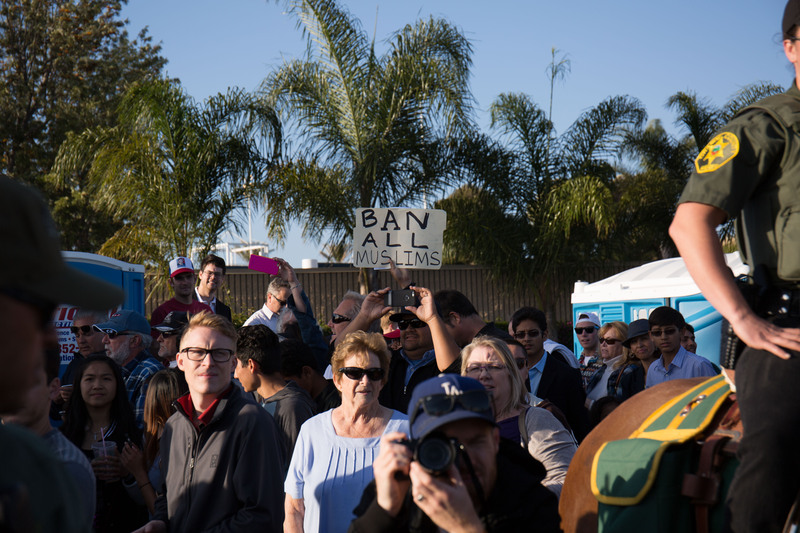 A Trump supporter holds a sign that says Ban All Muslims. 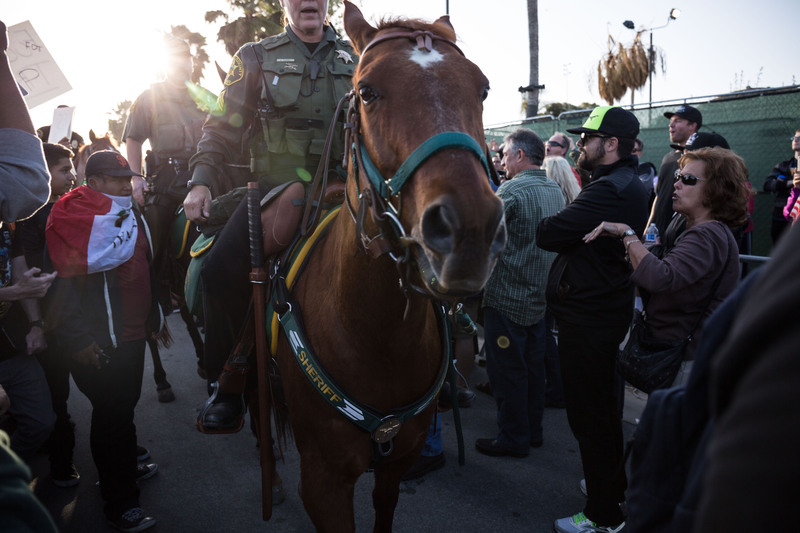 Mounted police separate Trump supporters and protesters at the Donald Trump rally in Costa Mesa, CA. 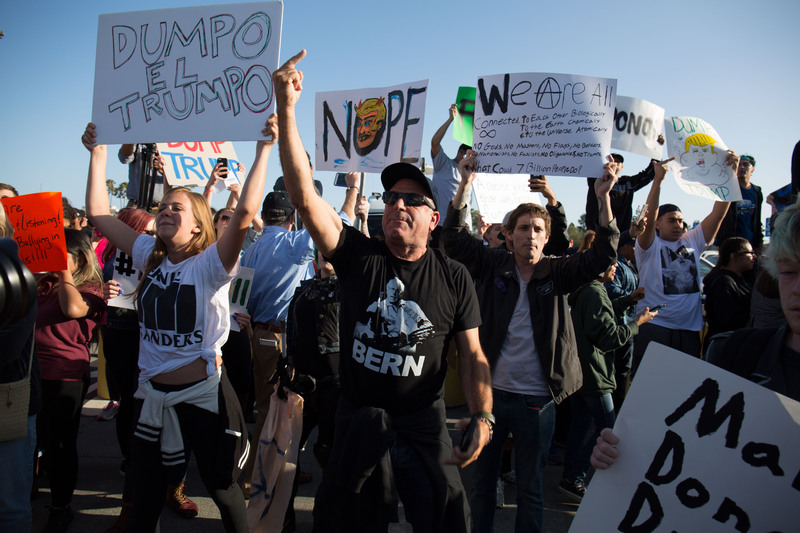 Anti Trump protesters outside the Donald Trump rally in Costa Mesa, CA. 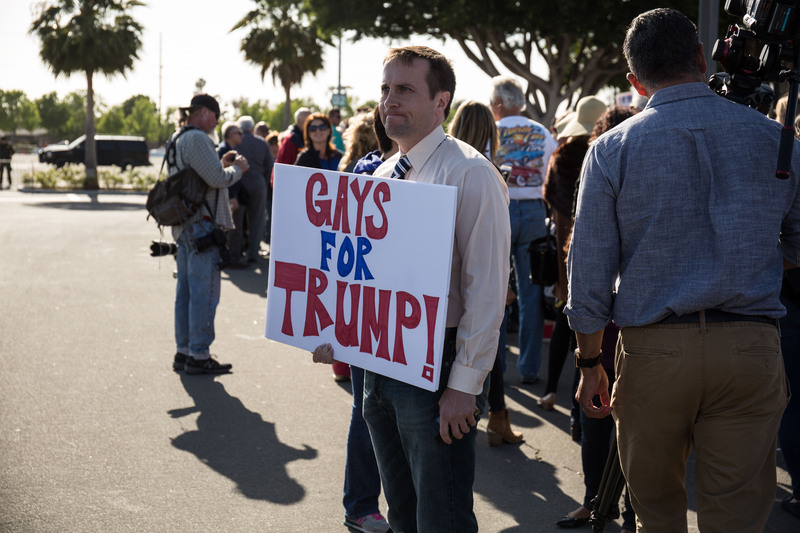 A man holds a sign that says Gays for Trump outside the trump rally in Costa Mesa, CA. 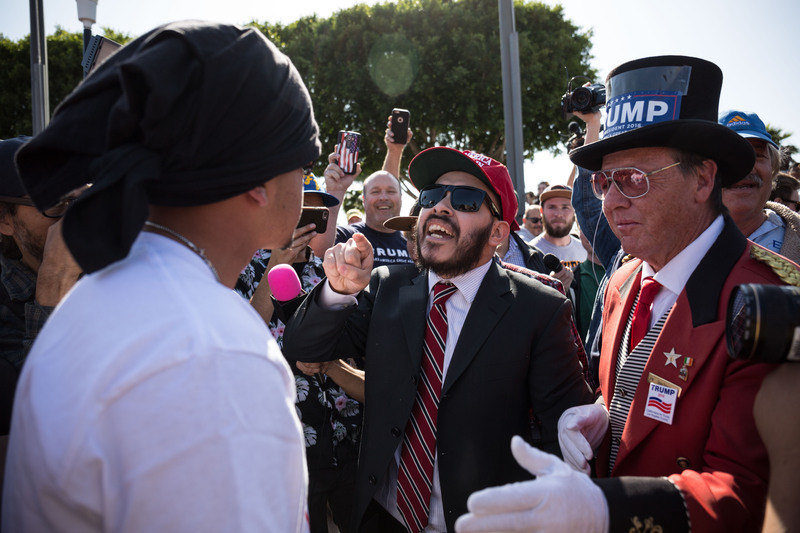 An anti Trump protesters argues with a supporter at a trump rally in Costa Mesa, CA. 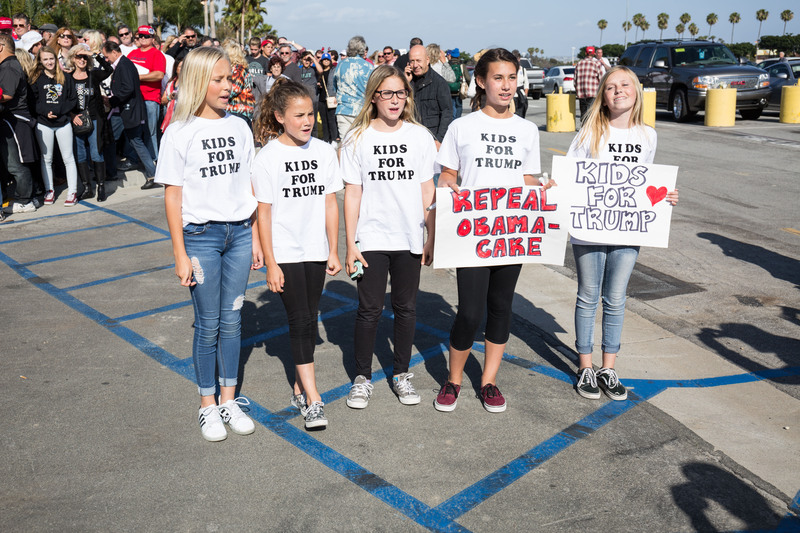 Kids singing pro Trump songs outside the Trump rally in Costa Mesa, CA. 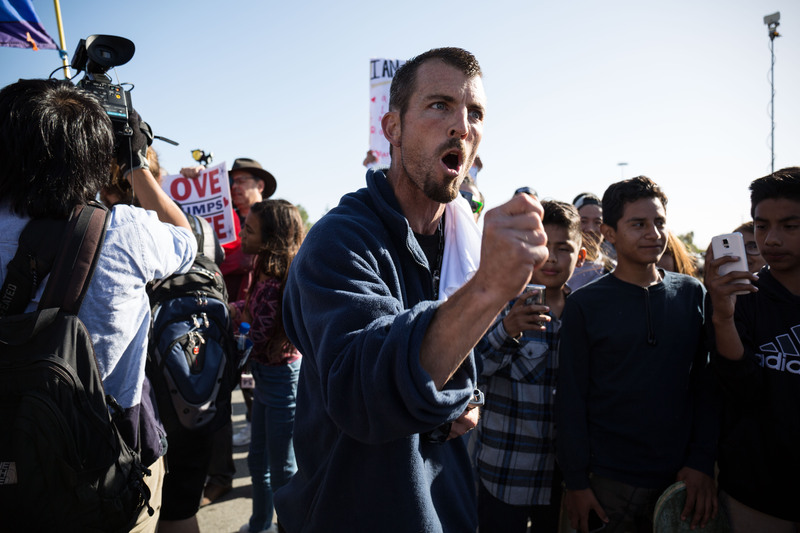 Trump supporter and protester outside the gates of where Donald Trump was speaking in Costa Mesa, CA. 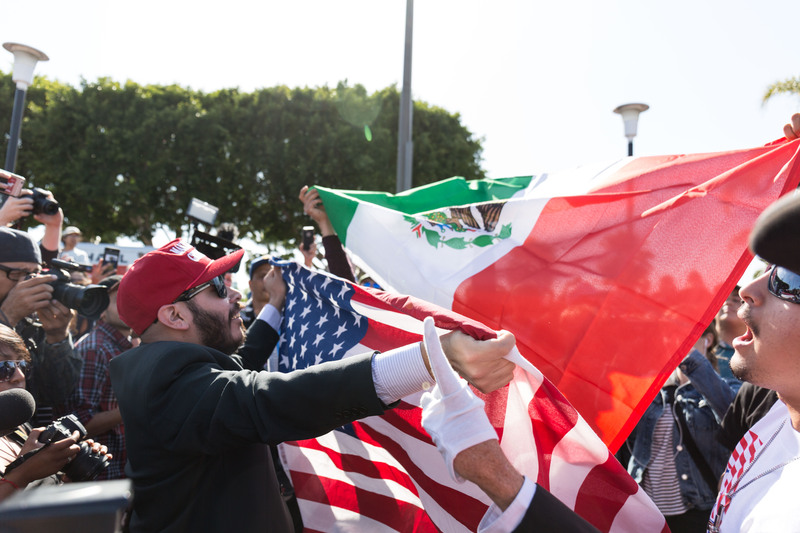 A Trump supporter blocks a protester holding a Mexican flag with and American flag at the trump rally in Costa Mesa, CA.